Avengers: Infinity War Friday (1st Day) Box Office Collection. Shook the Nation. 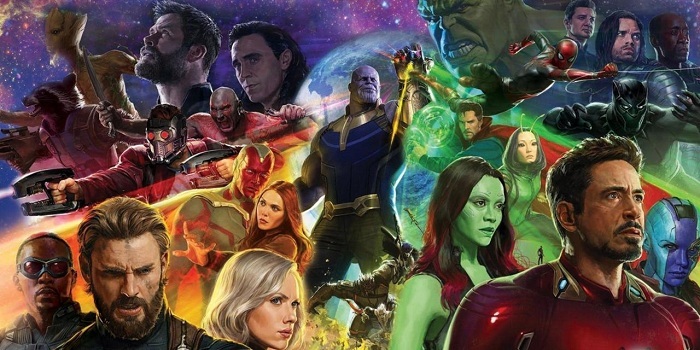 Avengers: Infinity War has taken Indian Box Office by storm. Film has recorded unprecedented collection on day one shook the whole Indian film industry. Film has managed to collect around 30-31 crore nett in just around 2000-2100 screens across the country. Just imagine what would have been the numbers if film got released in 3000 or 4000 screens. Film started the day with bang reporting 75-80% occupancy in Morning. Film further shoot up in Noon time with occupancy reported around 85%. Film hold extremely well in Evening and Night shows with occupancy reported around 75%. Last year exact at this time of the year Baahubali 2 reported such collections. However, that film was released in much large scale in India. Good part is that Baahubali 2 was atleast an Indian film, whereas Avengers is out and out Hollywood stuff. What is Bollywood doing? Most of Bollywood filmmakers are making films for selected audiences. They are looking at urban audiences and that also A cities. Hilarious part is that if the product is good then only films are surviving. But majority of the recent products are below average. They are celebrating success with a 30-40 crore nett business. Whereas single day business potential has increased to 50 crore nett or may be more. Just a few films are made for Pan India audiences. A Race 3 or Thugs of Hindostan or Simmba or Total Dhamaal comes into mind right now for the rest of the year. Just imagine how much shortfall of mainstream film in Indian market right now. Baaghi 2 was a Pan India film with a Tiger who is just few films old and see the impact film has made in Box Office. Hope Bollywood learns the lessons quickly. Bollywood no matter what will never learn. With ego maniac superstars how can bollywood move forward. Ask to make a big film starring Aamir , Salman and Hrithik for e.g their ego's would stop it from happening. Everyone would like to outshine the other. @Abhishek.. Ticket prices are in the range as same as Indian big superstars movies in multiplexes. But the craze for the movie among the people is much higher than Bollywood's biggest movies.The main reason for this is Bollywood becoming dumb day by day.